***Also Option to Add Starsense Accessory at a reduced price of £269 - Add using drop down Box near add to cart button. Having used the Celestron NexStar Evolution 6 WiFi enabled Telescope ourselves for several weeks now we can completely understand why the BBC Sky at Night Magazine Review on the larger Evolution 8 has been so positive. It really is a joy to use and is very user friendly. The basics work equally well via the handset or a tablet, but we do like the fact that using the tablet alows the telescope to pick up location date and time automatically (as long as its enabled and available on your device) to speed the whole alignment process up. In day to day use we have found the ergonomics of NexStar Evolution to be excellent too, especially the addition of extra handles on the mount base make lifting the telescope in and out of the box and general assembly easier too. Clutch releases on each axis, handy scales on the tripod legs and extra eyepiece holders all show that Celestron have listened to customers and have thought about real world use. 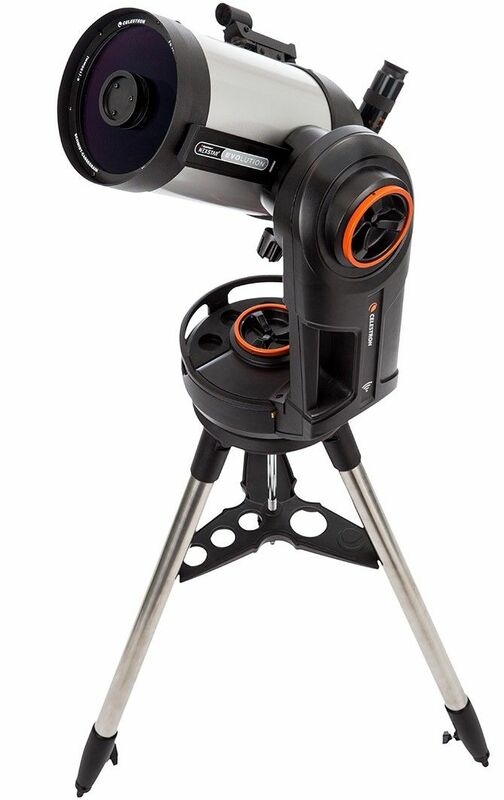 Overall we think the Celestron NexStar Evolution is more than worthy of its 5 Star rating. Celestron’s NexStar Evolution 6 is the first Schmidt-Cassegrain telescope with integrated WiFi. allowing you to slew to all the best celestial objects with a tap of your smartphone or tablet. 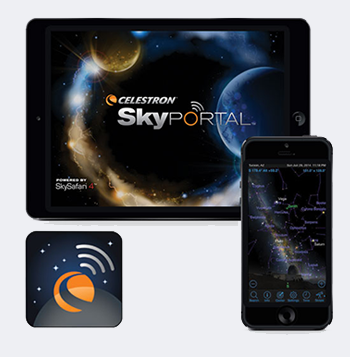 Connect your device to NexStar Evolution’s built-in wireless network, and explore the universe with the Celestron mobile app for iOS and Android.